Everyone needs a friend who’s all ears. Today… I say Happy Birthday to Kyle! Kyle, wearing the birthday sombrero at the restaurant! The year was 1809. Isom Wright was a mere 16 years old, when he and his four brothers first came to Wright’s Cove from Kentucky, after a year of barely surviving the other brothers returned home. Isom stayed and made himself a permanent camp by what is now known as Wright’s Spring, just under the crest of the mountain northeast of “Bat Cave”. There were several families of Cherokees living in the cave we today know as Cathedral Caverns. While trying to catch a squirrel in a January snow, Isom slipped on an icy patch and broke his hip. After lying in the snow for hours he crawled in between some rocks for protection from the wind. About noon of the second day Isom heard the Cherokees walking through the woods. He didn’t know if he should call to them or not. His movement made a noise and they took him to their cave. For the next two years Isom lived in the cave with the Cherokees. The cave gave excellent protection winter and. summer with a year round temperature of 50 degrees. They used the creek running through the cave for storing meats and generally keeping food fresh, as well as a permanent water supply. Being a pioneer made Isom familiar with the lifestyle and foods of the Cherokee. During this time Isom became a “blood brother” to the Cherokees and best friends with Indian Joe. Isom eventually settled two miles northeast of Bat Cave at Wright’s spring. He built a cabin, married and had two sons, John and James. Within in the next twenty years the settlers and the Cherokees lived side-by-side, giving and sharing information and food needed for living an everyday existence. Until the final removal or Trail of Tears in 1837 Isom was a friend and champion of the Cherokees. Although his whole family was removed Indian Joe refused to leave his mountain. He disappeared into the woods. The only connection he had with anyone was a tree one-quarter mile from Isom’s cabin, in Wright’s Cove between his cabin and Bat Cave. It was here a flour sack of supplies was left every Friday. The list was very simple coffee, salt, tobacco, flour and in later years ammo. Isom presented Joe with his first rifle, until then he did all his hunting with bow and arrow. Life was not easy for Indian Joe. He was shot twice, and the government agents were always after him: His woods were disappearing. Eventually John and James moved out of the cove, James to Texas and John to Aspel over close to Woodville. John Wright had three children Isom, John, and Mattie. John’s son Isom moved back to his Grandfather Isom’s cabin to look after him and helped take care of Indian Joe. This was after his Grandfather took arthritis in his right hip and had difficulty walking. During the Civil War the Government slacked off their search for Joe. He was then in his 70’s. Young Isom served in the southern army, fighting in several major battles. He returned home around 1866, as did most southerners. In 1882 Young Isom moved to present day Babe Wright’s Road. He built a country store and accumulated a considerable tract of land, from Wright’s Cove to Birch Hollow. From the back of his store he could see one quarter mile south to Joe’s spring and stream, with a clear view of the tree where Joe picked up his supplies. On his way to and from the store Isom would watch for signals, the white sack in the tree other than a Friday would signal something wrong with Joe. Only once was this system used, on a Tuesday Joe hung his bag in the tree. Isom went quickly and found Joe one hundred feet from the tree partially conscious. Joe had pneumonia and was near death. Isom carried him home and nursed him back to health. Joe was now diminished from his average height and weight, looking old and wrinkled in the face. His right side was drawn and weak from age and weathering. Anyone seeing him could easily recognize his derby hat with a tail feather standing up. These were the only trademarks left. Indian Joe settled in Birch Hollow for his later years. He would bring in food to Isom, pick-up corn from the barn, even milk the cows during the night. The Wrights were always proud of noises in the night, it was just Joe, the dogs wouldn’t even bark. Joe was even known to mend fences at the backside of the property, or remove fallen timber. Isom kept his word to his Grandfather, even becoming best of friends with Joe. The old smoke house on the Isom Wright place had a special room where Joe could come in and sleep in his later years. Today Birch Hollow lies south of Truman Wright’s property line. The spring is only one half mile east of his home in Swearengin. There is a large gum tree by the spring, but Truman says he doesn’t think it’s the same tree. A cave with a water source nearby is about 500 feet south of Truman’s land line with a rock wall built up inside. You can still find arrowheads scattered in the fields around the spring. Some say it was a battlefield, some say it was just Joe hunting. The newsletter is undated but was postmarked from Birmingham 18 Oct 2004. The site of the Vaught Cemetery, which is about five miles northeast of Mountainburg (Crawford Co., Arkansas) in the Big Frog Valley, will be covered with water when the dam above Lake Fort Smith is completed and its reservoir fills. This dam was authorized by the city of Fort Smith to create an additional water supply for the city. According to the contract for building the dam, it will be completed in early 1956. This century-old cemetery has been used as their burial ground as long as the present generation can remember. A report from B. A. McConnell who had the contract for removing the graves, states that “488 graves were moved from the original Vaught Cemetery and 18 graves from an old cemetery on East – making 506 graves in the new Vaught Cemetery.” The site of the new Vaught Cemetery is three and a half miles south of the old location. It is on Highway 71 and near the Shepherd Springs road. This new cemetery was dedicated on Sunday, Aug. 28, 1955. Many soldiers, one dating back to the War of 1812, are buried in this cemetery. It was started on land once owned by Samuel Caswell Vaught. He settled near Fayetteville in 1842 but removed to Crawford County in 1846 and established his home on the road between Mountainburg (the Narrows, then) and what is now known as Winfrey. About 1850 Caswell Vaught buried an old Cherokee Indian (Indian Joe Muhlkey/Mulkey) in one corner of his land down by the Big Frog Creek. This Indian had attached himself to the family and befriended them during their first days in the valley. Later Caswell gave the plot to the community to use as a burial ground. Isham Wright was early scout for wagon trains heading west. Son of James Bradford Wright and Mary “Polly” Smith. Older brother of Elmira (Mariah)Wright. Mary “Polly” Shepherd Wright was sister of John “Jack” Shepherd, daughter of Uriah Shepherd and Elizabeth Smith. Wife of John Shepherd and daughter of James Bradford Wright. Came to Crawford County with family from Jackson County AL. Grave located near water tower at south end of cemetery. This stone had been broken, and roughly repaired, in two places. The death date was unrecognizable. Humphrey Bogart) for his work with the Resistance. Larry is Sara and Dave’s oldest son. Larry is going to KILL ME but this is the only family photo I have! Above Photo, Left to Right: Shelby, Larry, Mandy and Kassi (sorry, Mandy… but I love this photo!) (Brandi, the oldest daughter, is married and shown below as a baby) Larry, send me some photos and I will replace this one…. if you want me to, or we can leave it up for fun, if you don’t mind! Your call! ; = ) But it’s a great photo! Really! Beautiful girl! Should’ve had a dozen! The answers are below (don’t cheat). us. His name was ___________________. did it go by? _________ & _________. This was a tribute to ______________. placed into orbit. The Russians did it. Want to enter the contest officially? BELOW IS SAMPLE ONLY. LOG ONTO ABOVE WEBSITE FOR ACTUAL CONTEST OR “JUST FOR FUN,” SEE HOW MANY QUESTIONS YOU CAN ANSWER! Test your knowledge of Memphis. How many of the following questions can you answer correctly? 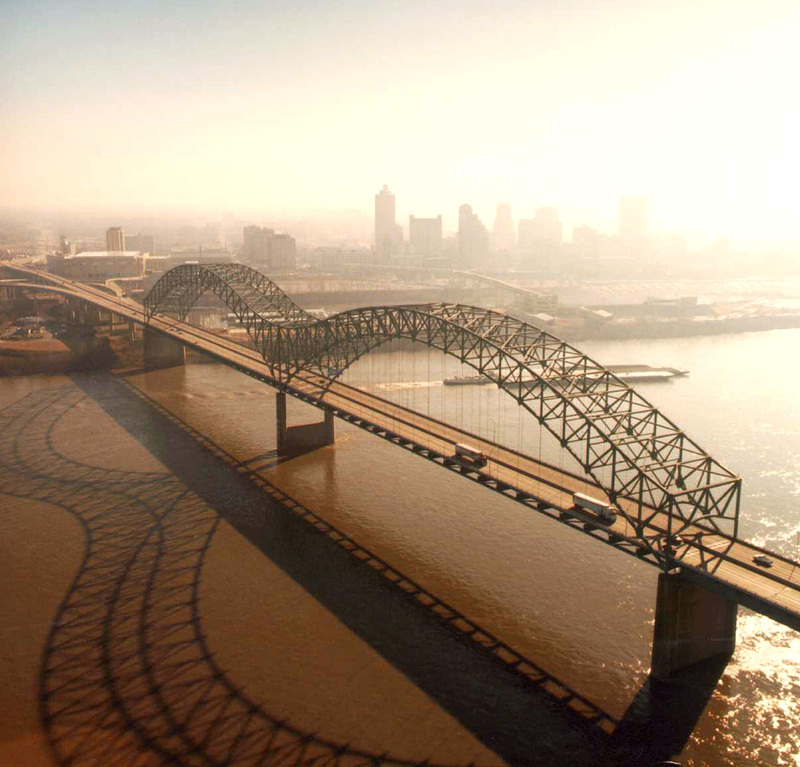 Hint: You can actually find all of the answers right here on memphistravel.com! Submit your answers for a chance to win a Hometown Tourist Package which includes attraction tickets for 4 to the top attractions in the city like Graceland, Stax Museum of American Soul Music, Sun Studios, the Memphis Zoo and many many more along with a 2 night stay at the Madison Hotel Downtown. Note: * indicates required fields. Elvis was a twin. What was the twin’s name? 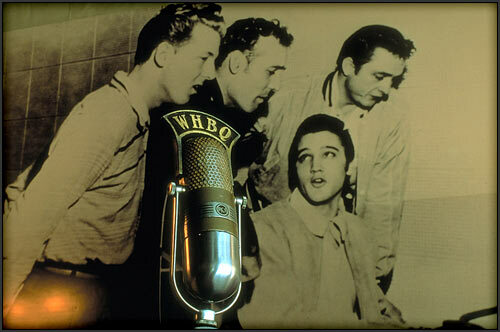 This image is of the Million Dollar Quartet who recorded at Sun Studios. Name the four members. What is the name of the ghost child said to haunt the Orpheum Theatre? How many zoos in the United States, included our zoo in Memphis, have the privilege of hosting the endangered giant panda? Memphis boasts some of the purest drinking water in the country because it comes from an Artesian well. What year did artesian well water become available in Memphis? What historic bed and breakfast on Beale Street was once used as the headquarters for Ulysses S. Grant? What is the name of the heroic non-swimming African American who saved 32 people from drowning when the steamship Norman sunk in the Mississippi river right here in Memphis? Who wrote “Memphis Blues?” Hint: he lived right here on Beale Street. What Memphis street is said to be the longest in Tennessee beginning at Front Street downtown Memphis and ending in Chattanooga? The same landscape architects that designed Central Park in NYC also designed Overton Park. What were their names? Most people say the greatest movie line was Clark Gable’s delivery to Vivian Leigh in Gone With the Wind: ‘Frankly, my dear, I don’t give a damn’. 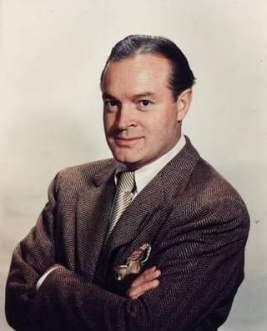 But one of the greatest movie lines was Bob Hope’s from a real oldie with Paulette Goddard and Richard Carlson. Enjoy this 20 second clip.